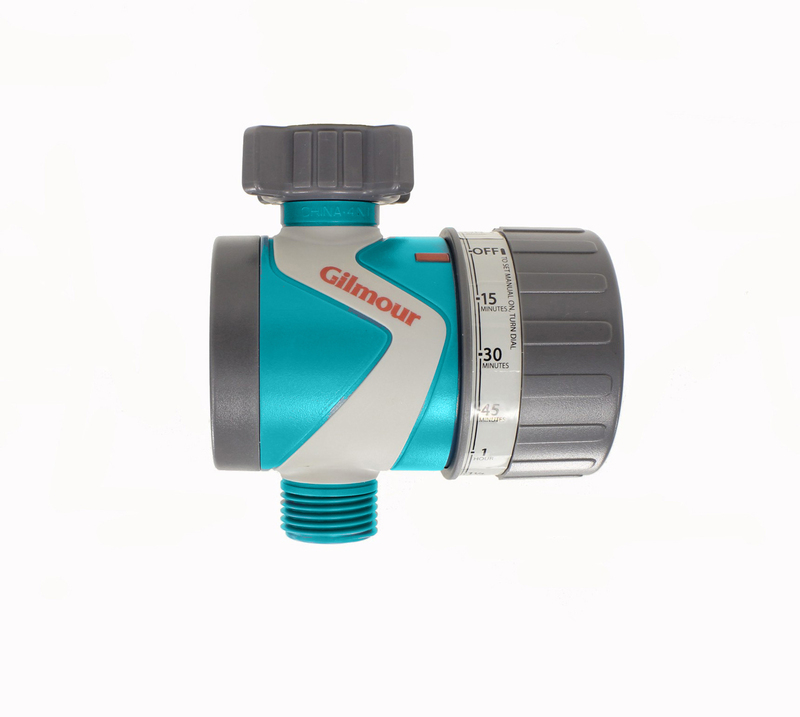 This Gilmour mechanical hose timer is a simple way to control your water usage. All you do is turn the dial to the desired watering time and the walk away, the timer will turn off after the set amount of time. Features and benefits: Can water up to 120 minutes, No display, No batteries needed.